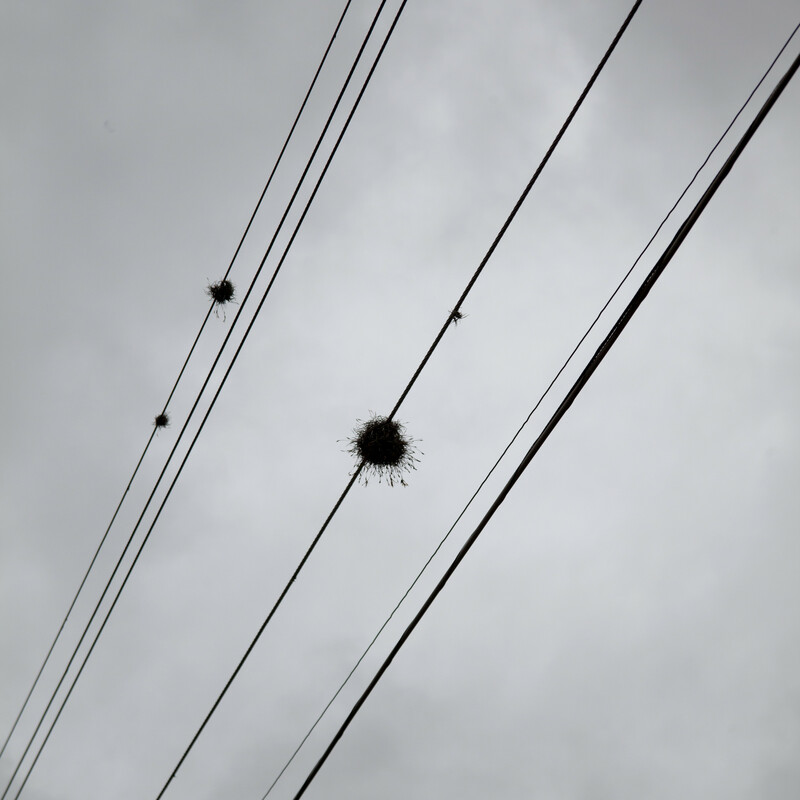 What are these spherical nest looking things on power lines in Mexico? 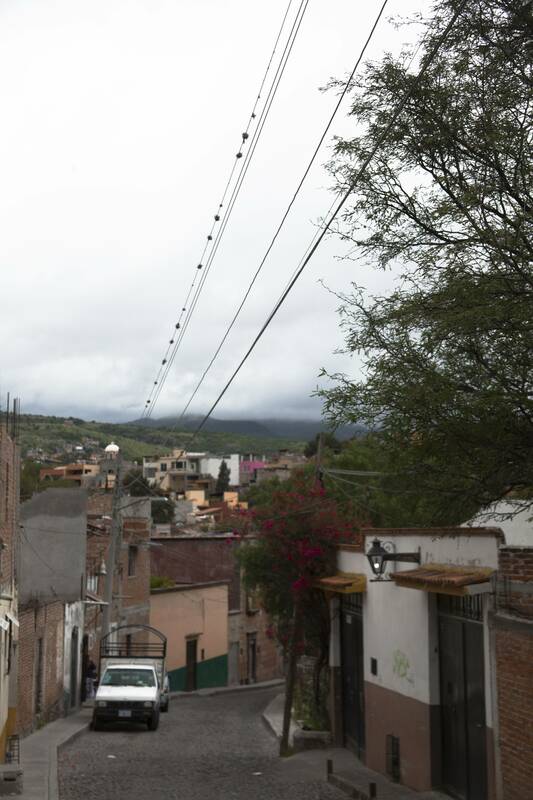 I just came back from San Miguel de Allende, where I saw a lot of these round things on power/phone lines. Here is a picture in context. Are they bird nests? Which birds? I saw mainly three different types of birds while I was there in the city: pigeons; swallow looking birds with forked tails that swooped and flew low and fast through the streets and sort of crow looking birds with much longer tails than our crows. I know pigeons didn't make these! Did the swallows? I never saw a bird going in or out of one and they were too high up for me to see them closely. I'm pretty sure those are just epiphytic plants (aka "air plants"). I used to live in central america and there were all sorts of epiphytes on the power lines. Epiphytes was my thought as well. Ball moss, an epiphytic bromeliad, not a moss. Do a google image search for 'ball moss power line' to see many similar examples. Same stuff is all over TX, in oak trees, on roofs, etc. And if you are wondering the long-tail-crow birds are Great Tailed Grackles, and the swallows with forked tails could have been Barn Swallows or White-Throated Swifts. Well, cool, that was fast! I didn't know air plants came in round; they are so cute. Individual tillandsia aren't typically "round" exactly - it's that each one of those balls is probably 20-30 plants living together. Tillandsia ("air plants") are monocarpic, meaning they bloom once and die - but the mother plant sends out pups before dying, the cycle repeats, and that is how an individual plant can eventually turn into a huge clump. I know pigeons didn't make these! Did the swallows? I'd actually put my money on the pigeons. Swallows are insectivores; I think pigeon crap adhering to the lines would be the more likely to contain viable seeds.